But I digress. 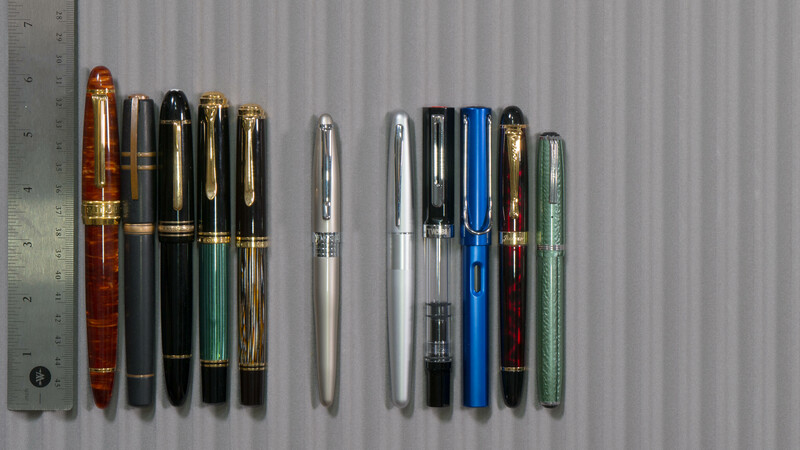 With $50 as the sort of universal upper limit for first-time pen users, people are always searching for pens they can try or recommend to others who are interested in the hobby. They want pens that don’t cost too much but that will be rock-solid writers. There’s nothing quite so disappointing as giving someone their first-time fountain pen only to have it be a dud and turn them off of the hobby forever. 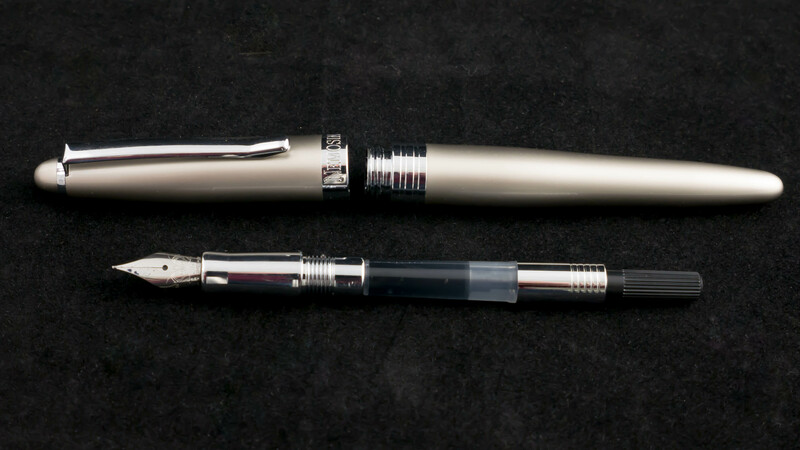 It’s no secret that I’m not a huge fan of the two most recommended starter fountain pens, the Pilot Metropolitan and the Lamy Safari. Perhaps it is the contrarian streak in me, or my penchant for things that feel/appear luxurious. 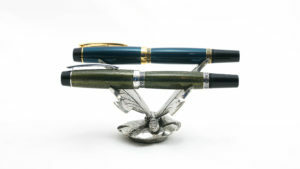 Neither of these pens is a bad pen, by any stretch of the imagination; and goodness knows they have legions of fans. But since they’re not quite the right fit for me, I’m always on the lookout for alternatives to these two pens that I can recommend without reservation. 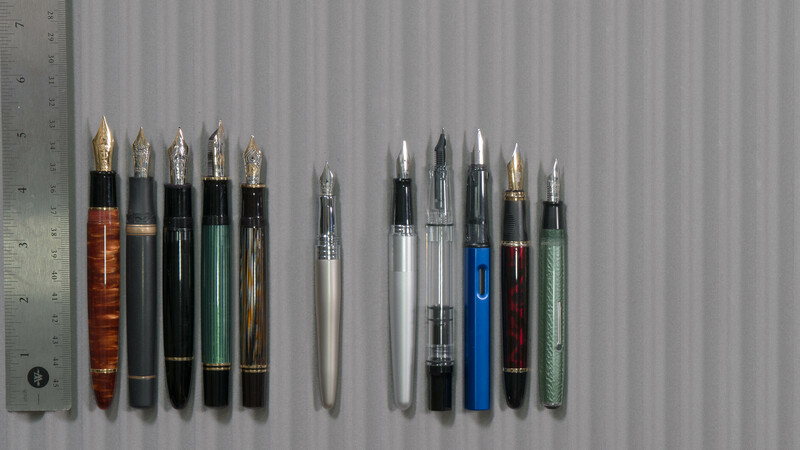 “Which starter pen should I buy” is perhaps the single most asked question I receive. Earlier this season, I reviewed the Nemosine Singularity and liked it a lot. It has made its way up my ranking of top starter pens, and I consider it to be a great value. 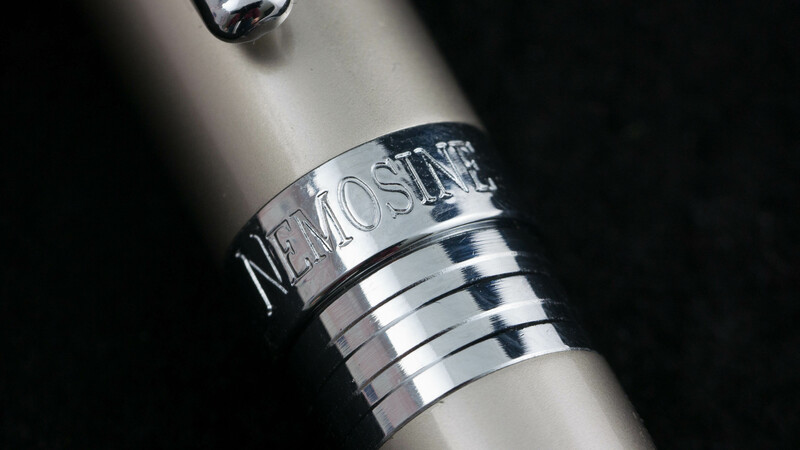 Nemosine also provided one of their newer pen models, the Neutrino, for review purposes. At a list price of only $30, the Neutrino fits firmly into the starter pen tier, and I wanted to see how it performed. According to my surface-level reading, a neutrino is a minuscule sub-atomic particle that is generated from proton + proton reactions that occur in nuclear fusion. (Namely, the sun.) If you were to expand a single atom to the size of the solar system, a neutrino would be about the size of a walnut but comparison. 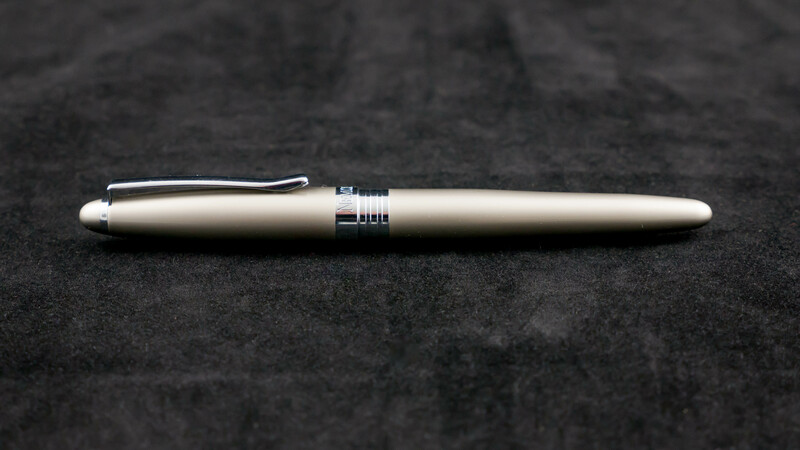 With that in mind, the Nemosine Neutrino is aptly named–the Neutrino is a small pen. Funnily enough, while the pen is small, something about the pen’s design actually makes it look larger than it is. 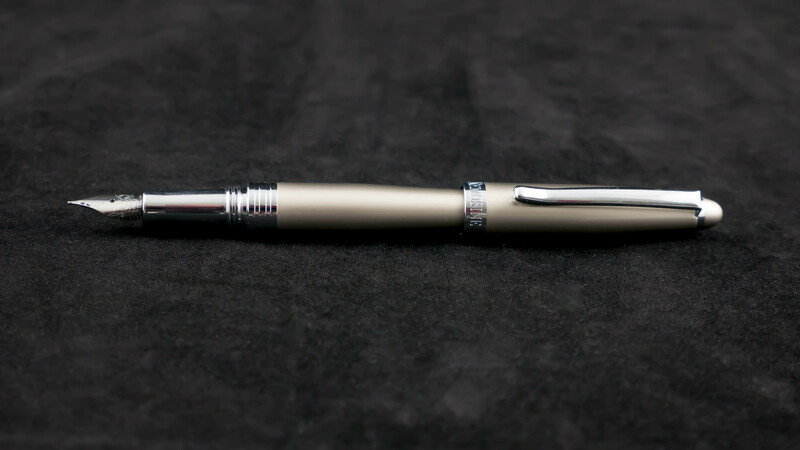 It’s not until you get the pen in your hand, or compare it to other models, that you realize how small it actually is. 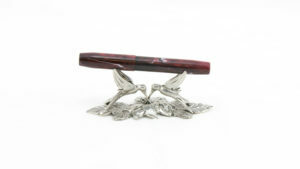 The Neutrino is a metal-bodied pen that comes in five colors: red, gunmetal, jet black, navy, and nickel. It appears that the colors are lacquered on, and the quality of the lacquer is quite high and feels very durable. 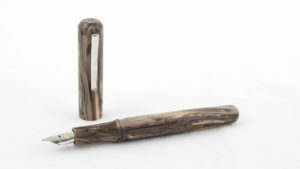 The pen is likely turned on a lathe rather than stamped or drawn, as the walls of the pen are on the thicker side and the pen has a slightly heavier quality than a pen like the Pilot Metropolitan. 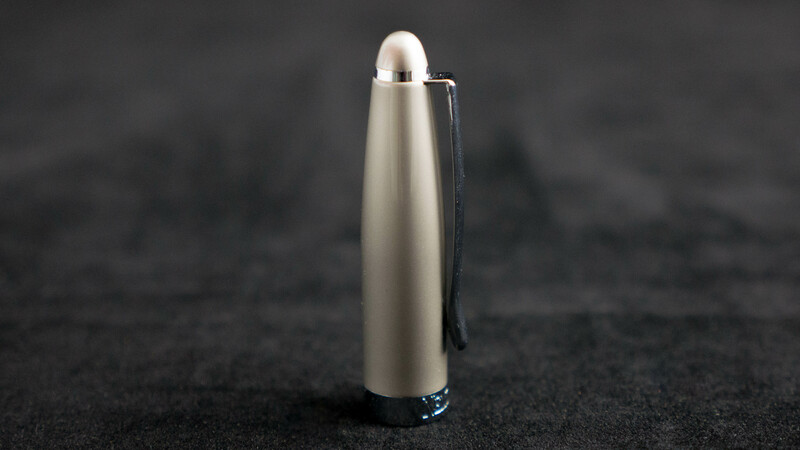 The cap is topped with a rounded point finial which holds on the clip. The clip itself is flexible but still relatively sturdy. The rest of the cap is lacquered, but for a chromed cap band into which the name “Nemosine” is stamped. 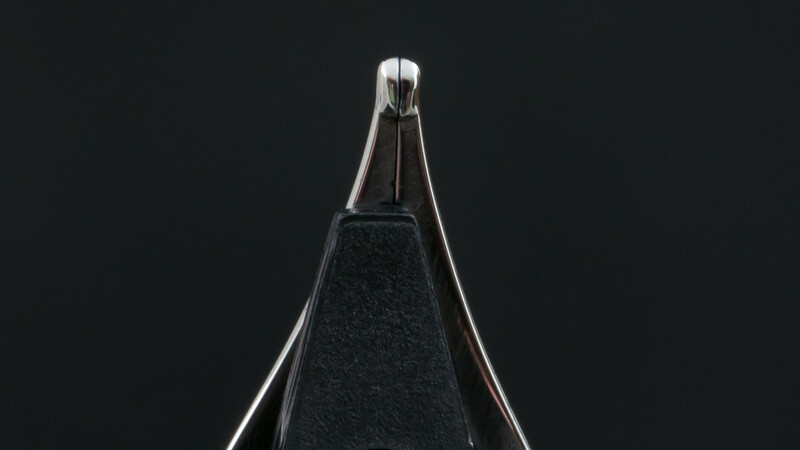 When capped, the band on the cap lines up nicely with a matching chromed, grooved band on the barrel. With a casual glance, it looks as though both the cap band and the barrel bard are the same piece of metal. The rest of the barrel is lacquered, but otherwise unadorned, and comes to another rounded point. The cap unscrews from the barrel with one and three-quarters turns. The barrel’s threads are the thicker, block-style threads. On the cap side, the cap is lined with a black plastic inner liner into which the threads are molded, so you avoid the metal-on-metal thread squeakiness. 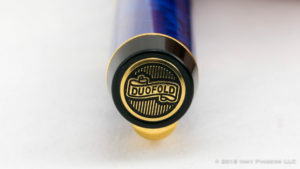 The threads on the barrel side are okay, but the chunkier block threads mean that, if you have to hold the pen higher up the barrel (more on this in a moment) you may end up with your grip directly on the threads, which aren’t painful, but not super-comfortable either. Under the cap is a shiny, chromed section with a concave profile. This section is my only real disappointment with the pen, for a couple of reasons. First, I really dislike shiny metal sections. I have a personal tendency to death grip my pens, and I also tend to get sweaty hands when I concentrate, so sections like this get slippery and covered with fingerprints. Second, the section on this pen is very, very narrow. At its narrowest point, the section on the Neutrino measures 7.3mm. This is even narrower than the section on the minuscule Kaweco Lilliput. It’s far, far too small for me. The section aside, in my hand, this pen is not quite the right fit. It’s too short for me to comfortably use unposted, but when posted, the balance feels off. The cap is almost the same weight as the body of the pen, and based on how it rests against the web of my hand, it feels a bit backheavy. 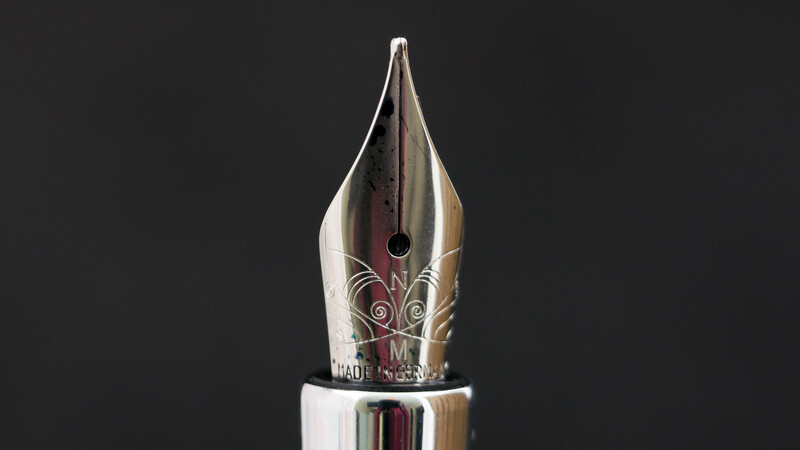 It’s very difficult to get super smooth and slightly dry, while not over-polishing the nib into a baby’s bottom problem. Yet somehow, they managed to get this one just right. Now, normally, I prefer wetter nibs, but there are times when a slightly drier nib is the answer. I found this nib to be excellent on lower-quality paper, and never once to exhibit issues with ink starvation or hard starting. 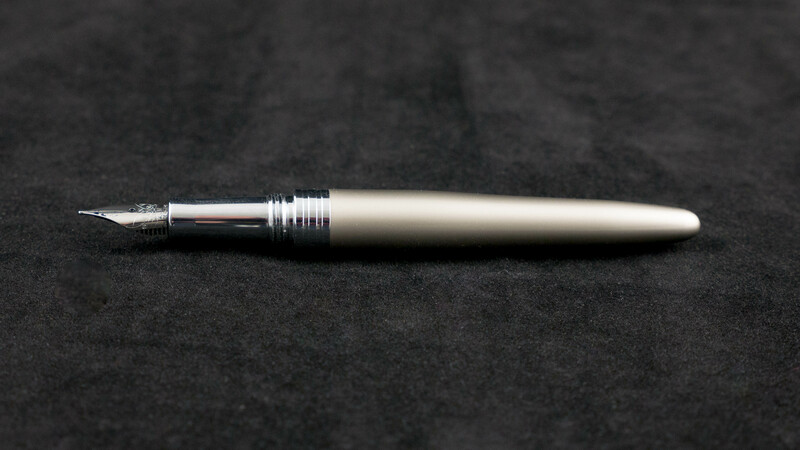 Even after sitting, nib up, inked and unused for a month, this pen started right up without having to prime the feed. It is a lot of fun to use. As mentioned above, the Neutrino lists for around $30. However, on the Nemosine site, it retails for about $25. 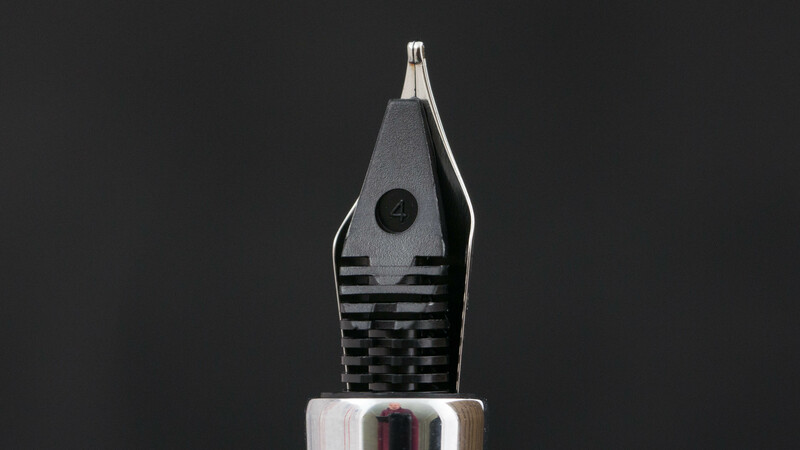 This puts it in the same price range as the Lamy Safari (except the Neutrino comes with a converter) and the TWSBI Eco. From a construction standpoint, the Neutrino is built as well as these options, if not better. 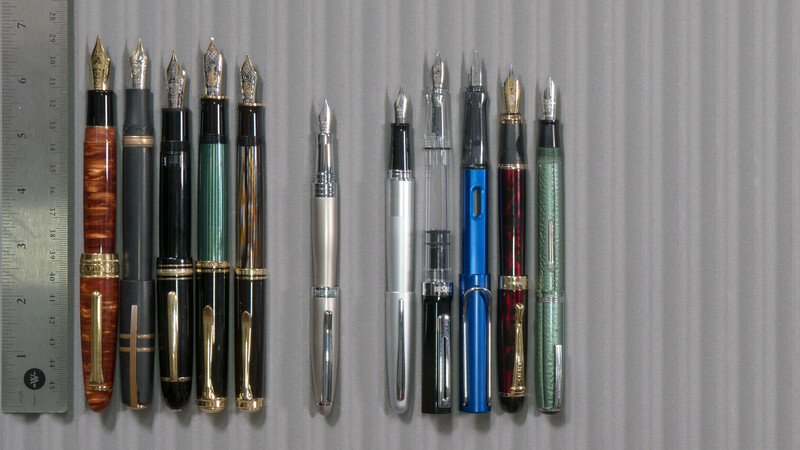 From a nib standpoint, the Neutrino pretty much blows both of the others out of the water. The only real downsides for me are the diameter and material of the section. 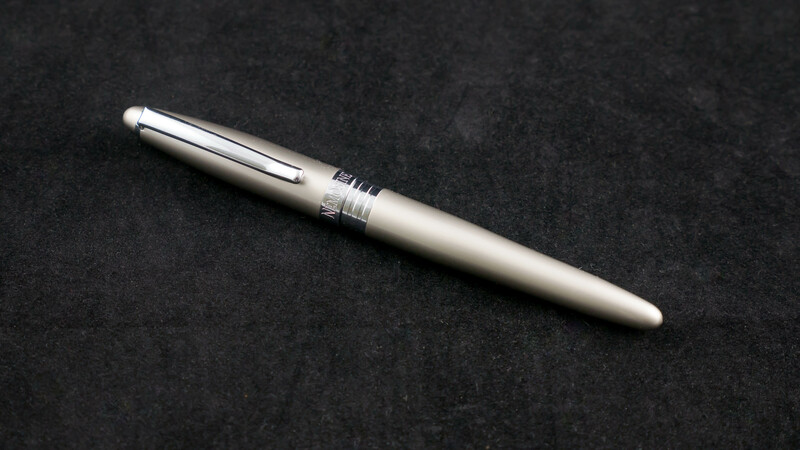 The other nice thing about this pen is, like the Safari (and quite unlike the Eco), additional nibs can be purchased for the pen, allowing you to try out other nib gauges. With gauges of EF, F, M, B, and 1.1mm stub, this is a great way for new pen users to learn what they like and even to practice on adjusting fountain pen nibs with a nice way to undo any damage they do in the process. Nemosine has done a nice job with this pen. Now if they could just drop the glossy metal sections (my kingdom for brushed steel!) and come up with a larger size, I’d be all over it. This pen was provided free of charge for review purposes and giveaway by Nemosine. No other compensation was provided. All opinions expressed herein are my own.